I know I missed day 8 was a bit under the weather; my bad. 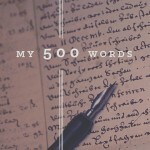 Here is Day 9 of the My 500 Words Challenge! Our words carry weight. They can inspire and motivate others. Or they can teach us a thing or two. Today, use your words to educate others. In my previous life I was a nurse. I can tell you the view from the other side of that profession is a daunting and sometimes frustrating experience. Particularly with all the changes in the health care system. When I began my nursing career, a patient care decisions were between the patient and the doctor. Visits lasted longer than ten minutes. The physician genuinely seemed concerned and was eager to answer questions. Wake up sick, an appointment was usually available. Now, you’re lucky if you can get in to see your family physician within two months. Acutely, ill? The standard response is, “Go to the emergency room or your nearest urgent care center.” And, if you’re ill enough for hospital admission, it won’t be your physician who comes to see you or follow your care – nope it will be a Hospitalist! Hospitalist may be very qualified, however, they are NOT, my physician. They don’t know my history. Of course, they can pull my records up in the new electronic medical record system, but they don’t know me. I am more than the computerized template of information and checklist. Talk about loss of continuity of care! I have an autoimmune disease with chronic complications. There was a time I could call one of my physicians and discuss my health. He/she respected my opinion and when I disagreed with the treatment plan, was willing to talk. That has become a thing of the past. In order to maintain control over my own care, I developed a system. After all, this is the only body I’m gonna have and I deserve not only to be heard, but to make sure my physicians are up to date. In addition, every frigging time I go for a follow-up, labs, or other outpatient procedure, I’m required to answer the same damn questions and fill out the same stupid forms. List all physicians seen since your last visit. 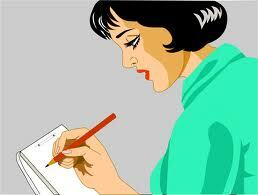 When was the last time you had a mammogram, colonoscopy, blah, blah, blah. I can’t remember what I did yesterday much less what I did last year, or longer. If you want to be informed and an active member of your healthcare team, I have a few recommendations. Always take another person with you, especially if you’re facing tests results, potential bad news, or have a chronic or complicated history. 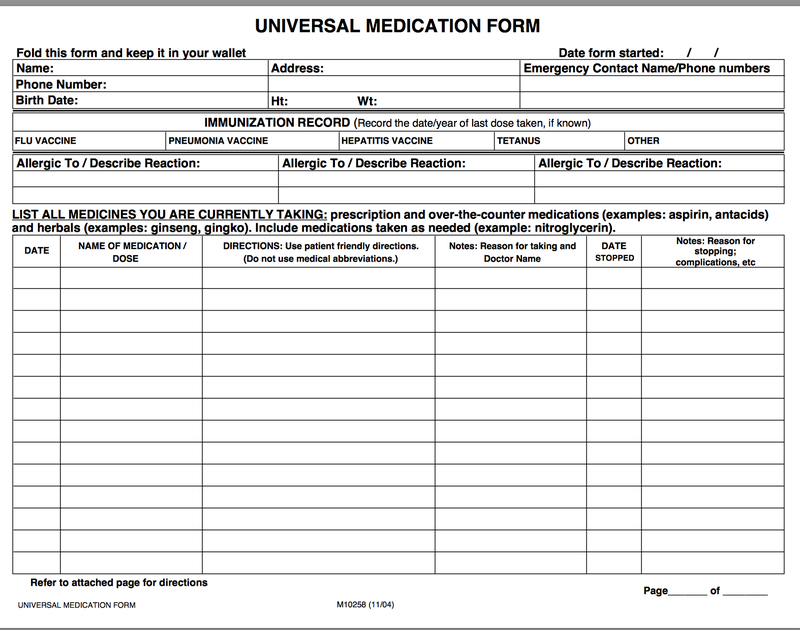 Maintain a universal medication sheet with immunizations, and allergies and carry a copy of it with you. 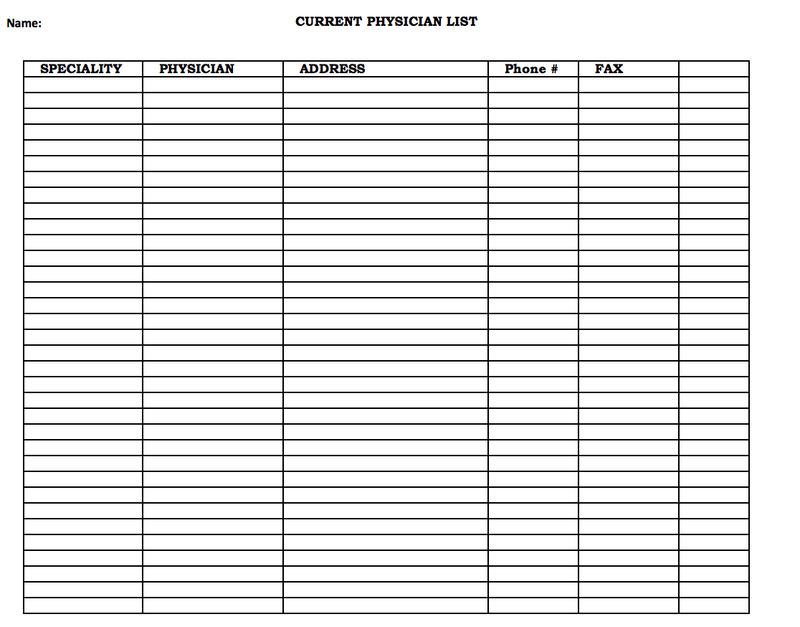 Make a list of all physicians, include the practice name, address, phone number, and fax number. 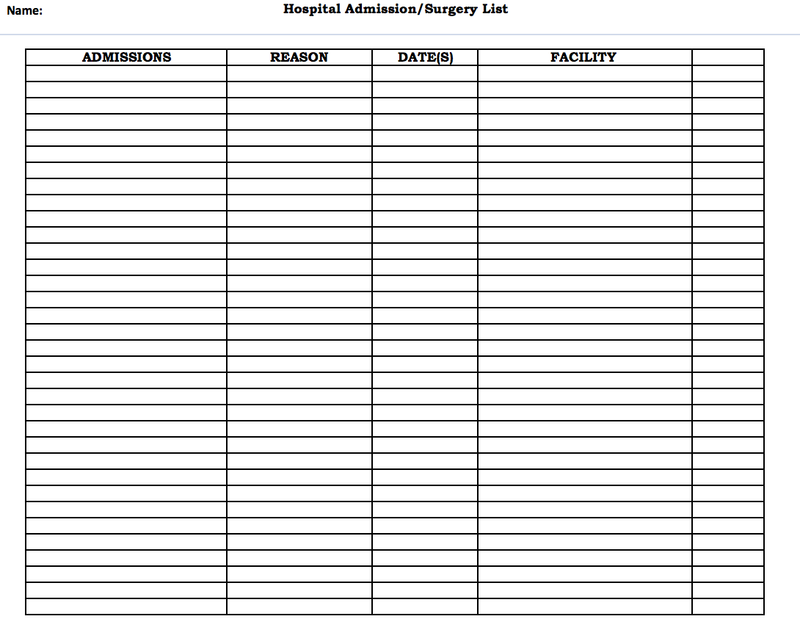 Keep a list of previous surgeries, hospital admissions, and the year. Keep a list of significant outpatient procedures: mammogram, bone density, colonoscopy, and other preventive procedures. Request and keep a copy every test ordered for you; labs, x-rays, cat scan, MRI’s, etc. These are not routinely offered, but all you have to do is request a copy. I’ve provided easy to use forms, feel free to download. Here’s to health. I’d love to hear from you. Talk to me, tell me your story. And, as always, you can follow me on Facebook at SheilaMGood and Twitter @cofcmom.